You can now read more about the Mists of Pandaria Scenarios feature in our updated expansion preview website! Check out our sneak peek at two of the scenarios you and your friends will be able to play in Mists of Pandaria: A Brewing StormÂ and Greenstone Village. Scenarios are short, instanced adventures for three players that directly follow the stories and events in the open world. In a scenario youâ€™ll be presented with a number of goals you need to achieve in order to progress. So instead of â€œclear trash, kill boss, rinse, repeatâ€, you will be given objectives you have to complete to move the scenarioâ€™s story forward. Yes, thatâ€™s right â€“ scenarios are heavily story-driven, much more so than dungeons. 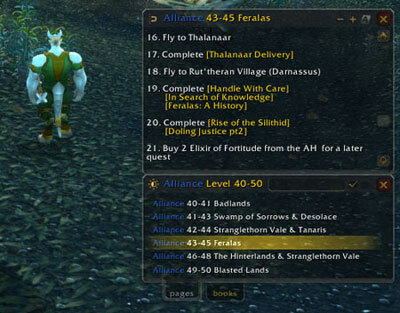 Youâ€™ll be able to queue for scenarios, dungeons, raids, and battlegrounds all at the same time in Mists of Pandaria. Scenarios share a common UI with dungeons and raids as part of the Dungeon Finder, and you can check your queue statuses by clicking on the LFD icon next to your minimap. Check out the previews now for more info and screenshots, and make sure to check back often as weâ€™ll be adding info for more scenarios soon. Stay tuned!